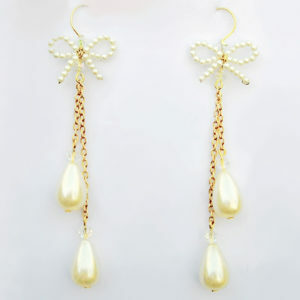 Tulleries - Versatile, Ear Climber Chandelier, Hand Beaded Earrings. 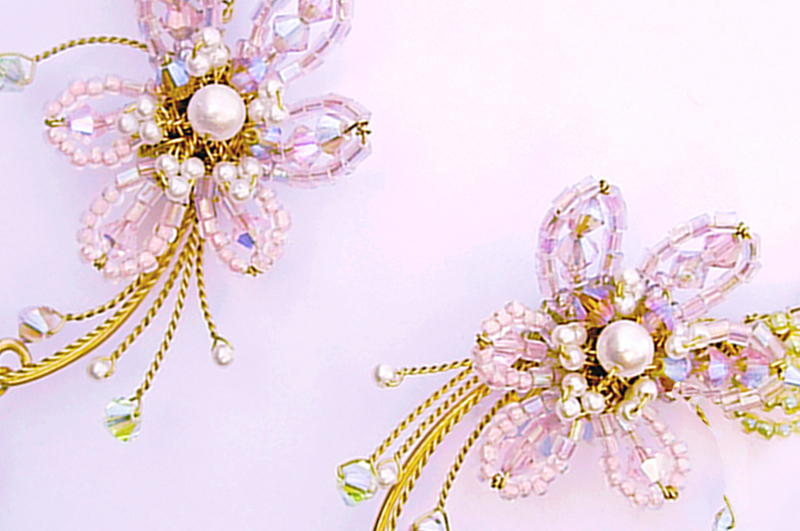 Elegant Hand Beaded, Ear Climber / Chandelier Earrings | Made to order, ships in 4-6 weeks. 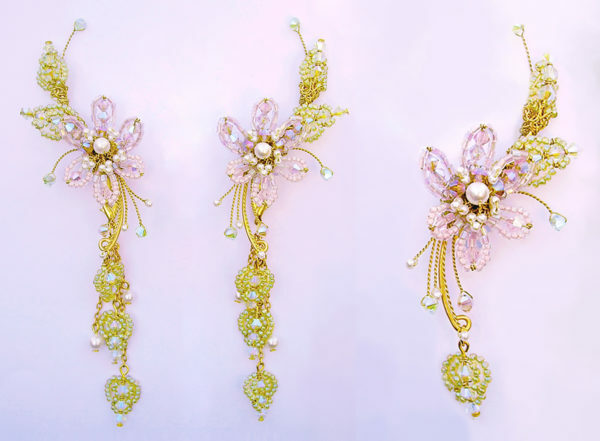 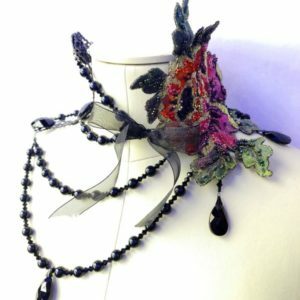 Delicate, hand beaded orchid flower & leaves ear climber & chandelier, clip on earrings; they have a clip on earring extender option to turn them from short to shoulder dusters & can be ordered with or without extenders. Shown in lilac & pale green seed beads with pale green crystals & ivory pearls. 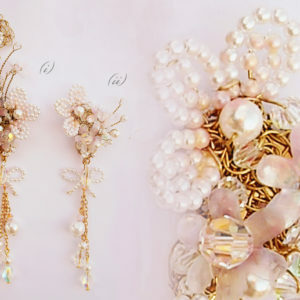 The matching extenders consist of tiny beaded leaved suspended on gold chains. 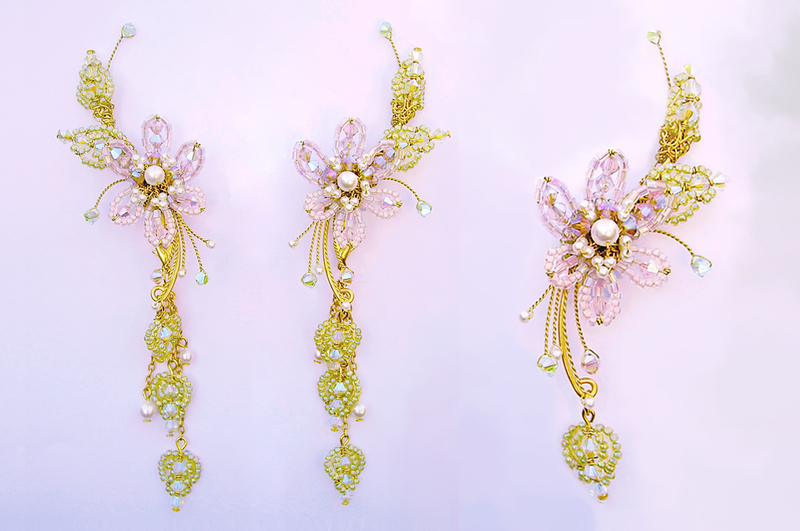 Also available in Ivories & Clear ABs as standard & as a Bespoke Colour Request (see menus).